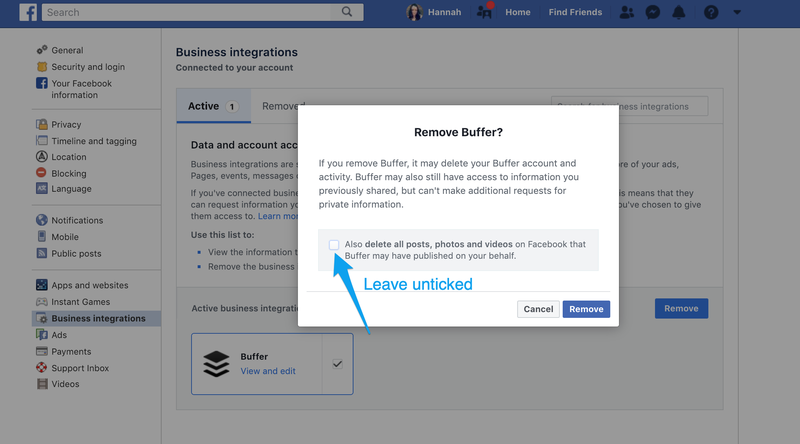 It's important to accept all permissions when connecting a Facebook Page to your Buffer Publish account. If your posts are failing with either of the following errors, this indicates that the " Publish as Pages you manage" permission wasn't accepted during the connection process. "Yoiks! Buffer doesn’t have permission to post on your behalf. Please try reauthorising this account by clicking reconnect under settings." "An unknown error has occurred, please get in touch if this persists." 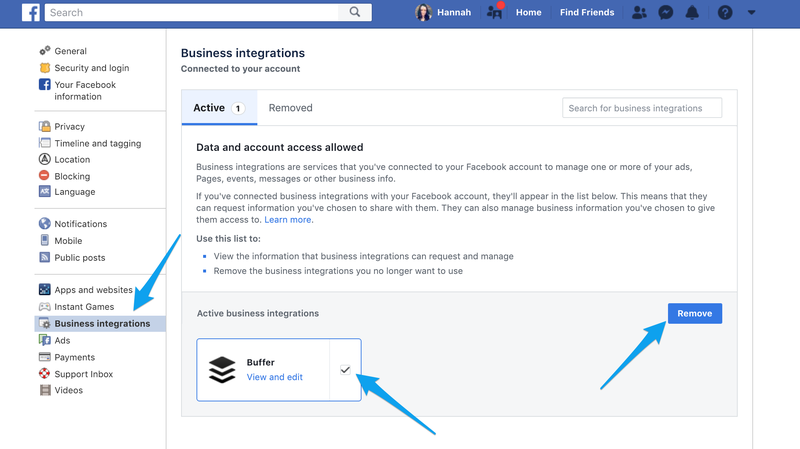 Head over to Facebook and navigate to Settings and then Business integrations (or click this link). You should see Buffer listed in the integrations area. This will need to be removed in order to continue. Tick the check box and then click Remove. Leave the check box unticked and then click Remove. Head back over to Buffer Publish. Select your Facebook or Instagram account on the left hand side of your dashboard and then click on Settings > Reconnect. Be sure to accept all permissions during the connection process. From that point, you should be all set you and can retry any failed posts in your Queue. Please note, in order to reconnect a Facebook Page, your personal Facebook Profile will either need to be the owner of the Page or alternatively have the "Page Admin" role. Although it's possible to connect Facebook Pages if you have the "Page Editor" role, it is not possible to reconnect them with this level of permission.